Many people from Karachi have stopped taking interest in politics, because the non-serious behaviour by the leadership of the MQM has broken our hearts. The Election Commission of Pakistan (ECP) recently removed Farooq Sattar from the convenership of the Muttahida Qaumi Movement-Pakistan (MQM-P). Interestingly, the petition was not filed by any rival party; rather, it was filed by the Rabita Committee of MQM-P. They also challenged the intra-party election held by the Sattar group. Sattar decided to challenge the decision of the ECP in the Supreme Court of Pakistan and subsequently, the Islamabad High Court (IHC) restored him back to his position. The damage, however, has been done, and it is deep. Back in the day, the MQM used to have a unique attraction for the youth of Karachi, and I was one of those who started supporting the party since its very first parliamentary election. I have witnessed the many ups and downs of the MQM living in Karachi and through the mainstream media. However, I ended up joining the party system itself a year before the 2013 elections. During those times, the party leadership was going through a crucial period in London. Even though Altaf Hussain and his team managed to win the 2013 election in Karachi, deep in my heart I remained dissatisfied with the result. What followed after was the start of MQM’s downfall. An unpleasant event took place when almost 50 workers assailed the senior leaders outside the Karachi headquarters. Sadly, this event marked the meltdown of MQM’s prodigious discipline. After massive propaganda and crackdown, winning the NA-246 seat was a great opportunity for the MQM to settle its differences with the forces that were currently not in favour of the party. Nevertheless, the senior leadership in London missed a great opportunity due to an impetuous speech. It is true that the absentee leadership of the MQM is in itself a major issue: including Hussain’s infamous speeches that usually landed the party in hot water. Despite this, Hussain was somehow able to keep the house under control and the vote bank intact, while permanently residing in London. This was proven in the local body elections of 2015. However, the damage done by Sattar and Amir Khan to MQM is irreparable in many ways. In a year they have brought the party to its knees, and have transformed into nothing more than tools. It is important to look back a year and question, how many issues of the people of urban Sindh have been raised and resolved by the MQM? Whether it is the garbage disposal issue or the cases of missing persons in Karachi, the people have been left alone on the streets without any representation or voice. Maintaining a healthy work relationship with powerful forces is different, but becoming a pawn in the game is unimaginable for a party like the MQM. It’s almost as if they’ve turned to another Muhajir Qaumi Movement (Haqiqi) without violence. Pakistani political parties are already divided on the basis of ethnicity; the Pakistan Peoples Party (PPP) has inherently become a party for Sindh, while the Pakistan Muslim League-Nawaz (PML-N) roars for Punjab. Similarly, the Pakistan Tehreek-e-Insaf (PTI) has failed to garner support outside the confines of Khyber Pakhtunkhwa (K-P); therefore, all the divisions within the MQM have left voters in urban Sindh in the middle of nowhere. MQM-P is close to its second birthday after splitting from its leadership, but they are still unable to resolve petty issues of party constitution and convenership – making their voters and supporters a laughing stock in front of the country. Their take on the senate nominations left many like me in shock, not expecting such behaviour from leaders like Faisal Subzwari, Sattar and Khalid Maqbool Siddiqui. Their brawl not only cost them the senate seats, but also left me in pain, as I thought back to the days when the MQM took pride in its cultural values. Above all, the appointment of Kamran Tessori as the deputy convener shattered the last hopes of supporters like me, who always saw merit-based and middle class leadership as the pride of the party. I wrapped up my journey with the MQM in the beginning of 2017. It is not only me, but many people from Karachi, who have stopped taking interest in politics; not because we have lost awareness, but because the non-serious behaviour by the leadership of the MQM has broken our hearts. Many people in Karachi are still optimistic about the MQM, but repair is only possible if this leadership comes out of personal interests and puts the supporters first. Sattar should run the party with a democratic structure and not like his private entity, which is the only way other party leaders will accept him and trust him in the future. Similarly, Khan should also show some flexibility in creating working space for Sattar; after all, he has given 35 years to the party and can be a great asset for parliamentary expertise. 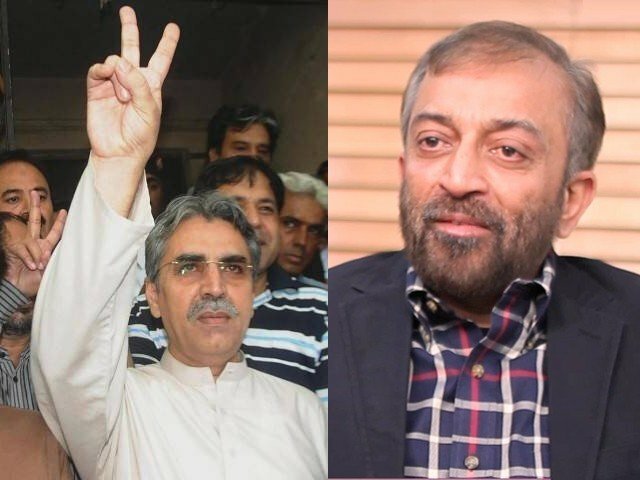 At the end of the day, Sattar’s removal or restoration is not a victory or a loss for any one group – I see it as a complete loss for both groups, and more importantly, for their supporters. MQM’s supporters and its vote bank remain united in the name of one man, and this particular individual needs to be fearless and pat the backs of the senior leaders to show strength. Otherwise, the MQM will only be left in books of political history, and Karachi will once again start voting for a third party, leaving the MQM in a place much like the Jamat-e-Islami (JI). 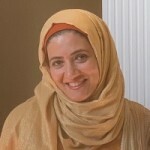 The author has a right to follow her beliefs and perceptions. And to make her own informed decisions. MQM is a party of thugs, bandits, racketeers, hoodlums, drug peddlers and bhatta khors. Plundering, looting. killing their very own fellow Muhajjirs in Karachi and Sindh. did good, they represented an ethnic block. The Muhajjirs. The day they changed the name to Muttahida, and stopped the demand for a separate province it was the start of the free fall into the abyss. The Punjabis the Sindhis the Pathans the Balochs consider themselves Sons of the Soil, true blue, Pakistanis. They have their own agendas, their own provinces and no time for Muhajjirs. There is a deep ethnic and cultural bias, a hatred, against Muhajjirs, by these by these ‘sons of the soil’ and former ghetto dwellers of the Raj. Sir, sorry to contradict you but, Karachi is capital city of Sind, you should know better then to write Karachi and Sind, the sentence makes one feel as though Karachi is not in Sind. I am not even sure why Amir Khan was ever forgiven and allowed to be brought back. I have met him in the past but never really got a good vibe from the guy. And, then this whole Kamran Tessori thing. Who is this guy anyway? Why not elect me or someone else for that matter to represent in the Senate????? Just saying as an analogy – it does not have to be me, of course, but what I mean by me is an average Karachiite who works hard, is honest, reputable and well-known in his/her community and professionally stable. But then again, who is Kamran and what credentials does he have that other meritorious Karachiites don’t have (other than being loaded with money)????? Sorry, but I am truly disappointed. Also, Altaf Hussain must also accept the blame partially. Given his deteriorating health and the general fact of life that no human lives forever, he should have groomed a second tier leadership who could have taken the causes that the MQM has rooted for further. But what I personally feel is that the balance between to establish a clear hierarchy of succession and ensuring that the chain of command goes back to a single person was never met). It should have been – no one lives forever and given MQM’s democratic credentials Altaf Hussain should have made it a priority to ensure that a chain of command is present that can take over after him. This was never allowed to happen and all attempts were seen as “blasphemous” (so to speak). Anyway, a lot can be said but I believe the blame lies on both the London based leadership and the local Karachi leadership where personal agendas and vested interests trumped Karachiite interests. Interesting comment. So if they had remained Muhajir Qaumi movement and not become Muttahida Qaumi movement and retained the demand for separate province, you would hav ebeen okay that they are “a party of thugs, bandits, racketeers, hoodlums, drug peddlers and bhatta khors”? First of all, calling Faisal Subzwari a leader is hilarious. Secondly, Tessori was appointed FOR his money. MQM might be the only party that still, after 30 years of its existence, regularly asks for chanda. If you’re taking Tessori’s money, and expect him not to have a say in decision making, you’re either stupid, or naive, or both.